Recent release “The Earls of Alabama” from Page Publishing Author I. L. Brown is a thrilling and fast paced story of a family whose legacy has been law enforcement for over 60 years, abruptly brought to an end by murder. I. L. Brown, a retired business executive, has completed his new book “The Earls of Alabama”: an engrossing and captivating story of family caught in a difficult time and a hard place, as told through the eyes of an old mulatto man to the grieving son. Published by New York City-based Page Publishing, I. L. Brown’s compelling tale begins with a murder in 1930’s rural Alabama. The sheriff has been cut down by unknown assailants. James Earl was the third sheriff in succession from the same family. It will be the first time in sixty years, one of the Earl men will not be in charge of law and order. James’ only son is a teenager and after the funeral is told his family history through the eyes of an old mulatto, Ben Davis, who had been born into slavery and involved with the family since he was six years old. It is a story of murder, moonshine, family feuds, romance, the Ku Klux Klan, and rural prejudice. It is about one family in a challenging and demanding time and a formidable place. 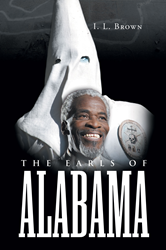 Readers who wish to experience this vivid and memorable work can purchase “The Earls of Alabama” at bookstores everywhere, or online at the Apple iTunes store, Amazon, Google Play or Barnes and Noble.